The charming village of Cârțișoara where we spent our first night in Romania lies on the doorstep of Europe’s rugged Carpathian Mountains. Though the Carpathians themselves stretch for nearly 1000 miles across seven European countries, over half of this giant swathe of craggy pinnacles, mountain lakes, and virgin forest is found within Romania’s borders. The Făgăraș Mountains, a sub-unit of peaks at the southern end of the Carpathian arc, are those that are visible from Cârtisoara. 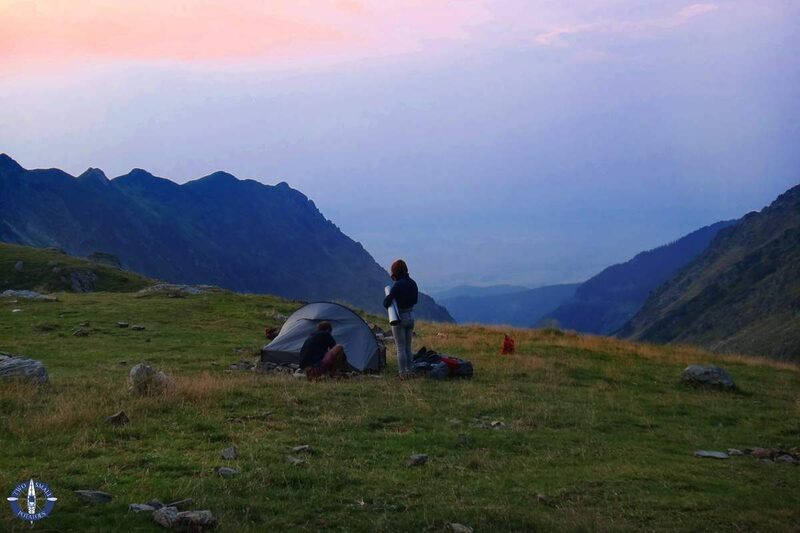 These particular mountains are not only home to Romania’s two highest summits, Moldoveanu and Negoiu, but also its most famous highway: the Transfagarasan. 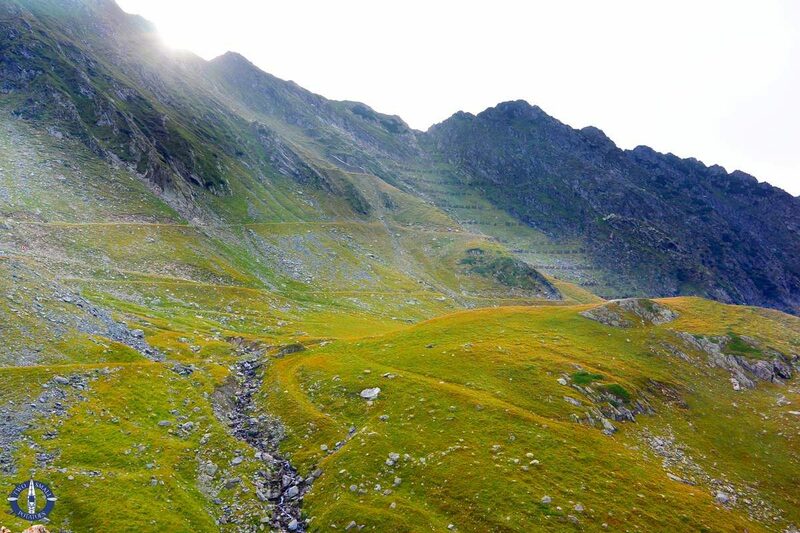 Spelled Transfăgărășan in Romanian, the name means “across or to the other side of the Făgăraș” in reference to the Făgăraș Mountains the highway crosses. Though the highway was only known to locals until recent years, it’s widely recognized as one of the most scenic byways in the world. 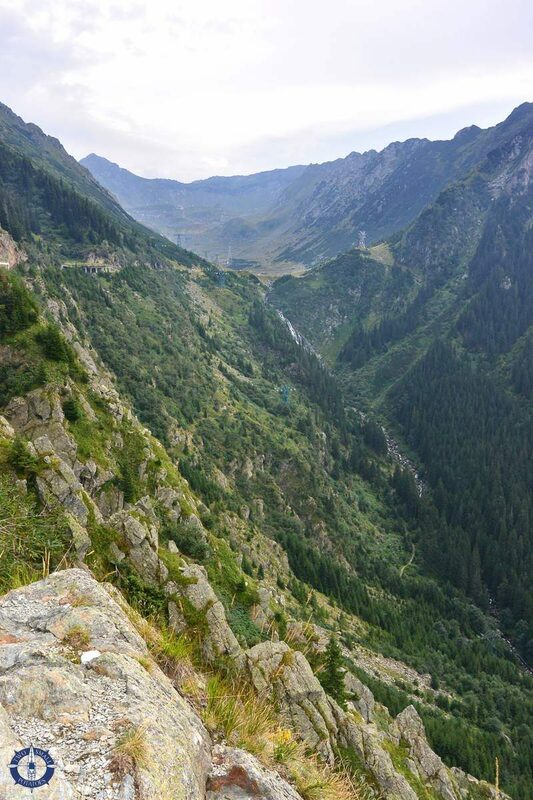 From the village of Cartisoara, the Transfagarasan cuts south up into the Fagaras Mountains high above the canyon floor. 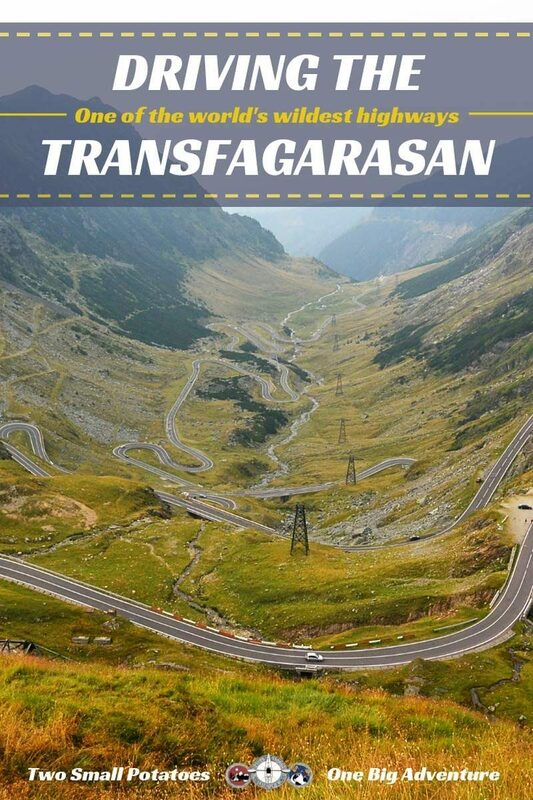 The Transfagarasan is officially known as the DN7C. 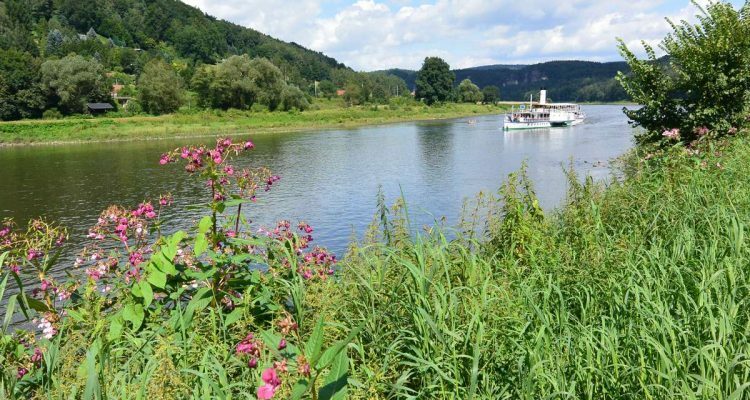 At its northernmost point, it starts where it branches off the DN1 highway north of the town of Cârtisoara and stretches for about 150 km (90+ miles) south. The other end of the Transfagarasan is near the town of Bascov. The narrow, winding road is also sometimes referred to as Ceausescu’s Folly due to the rather questionable circumstances of its construction. 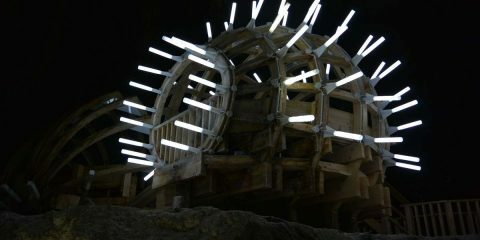 Built at the behest of Romania’s Communist dictator, Nicolae Ceaușescu, work began on the project in the early 1970’s. Relying primarily on unskilled workers to dynamite a path along the steep mountain side, many died in accidents or from exposure to the harsh elements at such high elevation. It’s common for brutal storms to blast through the mountains with little warning, and even in the summer, the average temperature is quite cool. Despite mounting foreign debt, Ceaușescu poured money into the Transfagarasan, a highway with no clear purpose. The predominant theory is that the road was intended to provide an additional north/south route across Romania in the event of a Soviet invasion; just a few years earlier, the USSR had invaded Czechoslovakia. It’s also plausible that it was fueled by nothing more than Ceaușescu’s ego – an attempt to elevate Romania and its engineering accomplishment into the spotlight. 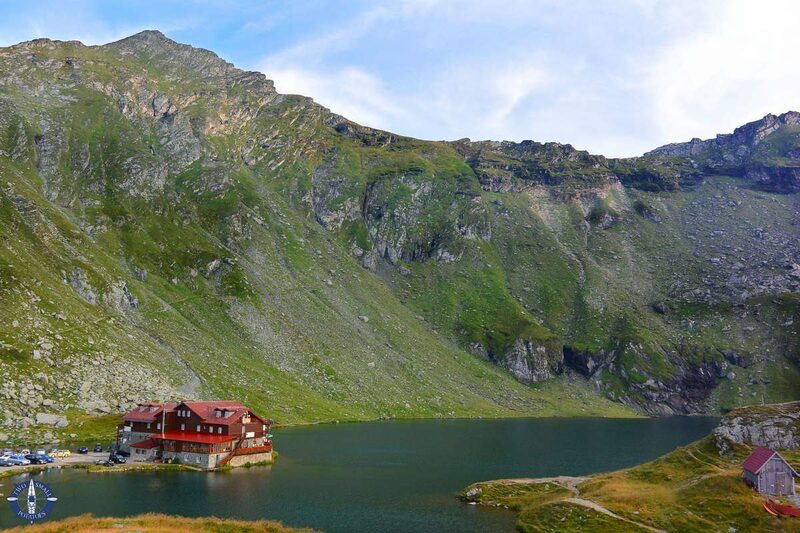 Travel Tip: The Transfagarasan is closed in the winter, typically from as early as October to June. 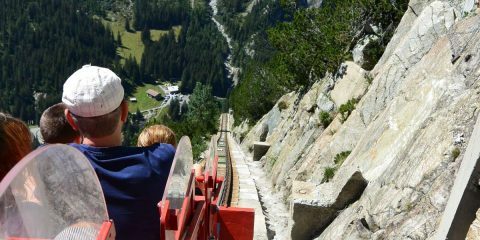 However, a cable car operates year-round from the Balea Waterfall to the summit. 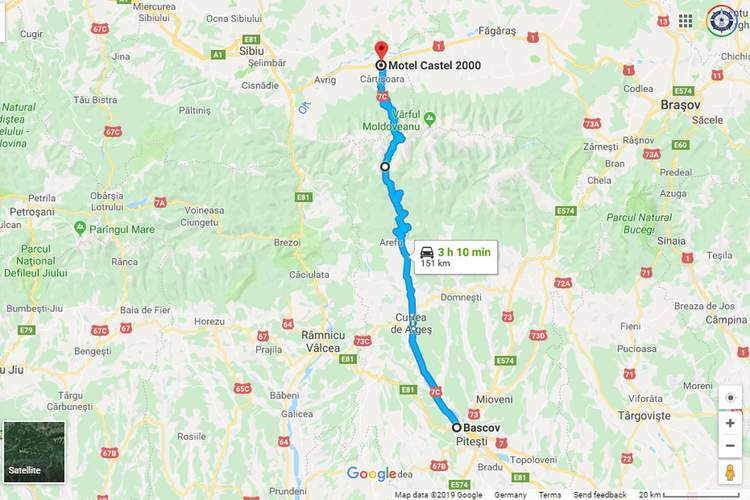 While the highway is clearly an impressive feat of engineering, it didn’t really garner much fanfare outside Romania until 2009 when it was featured in an episode of Britain’s Top Gear. Amazing how several rich guys screaming along a mountain highway in Ferraris can bring mass media attention! 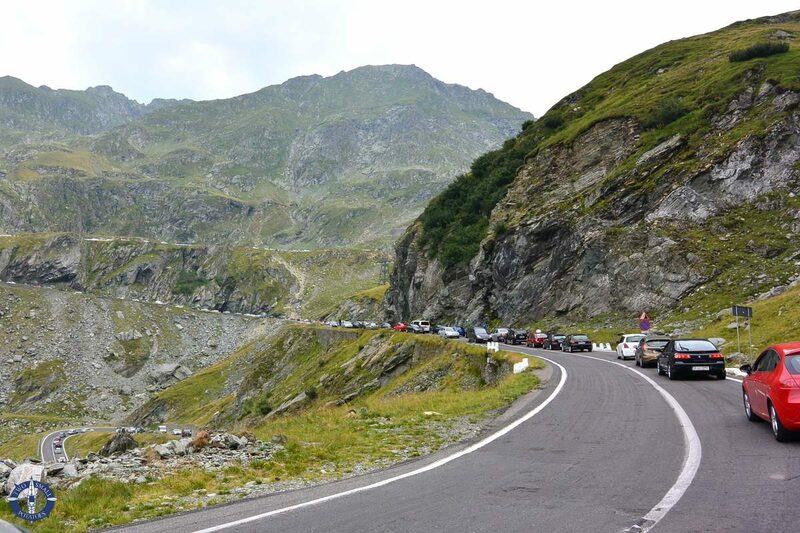 We certainly experienced the Transfagarasan’s spike in popularity firsthand as we crept up the hill in Sunday traffic. I seriously would not have been surprised to look out the car window and see a 90-year-old blind woman with a walker passing us. On a weekend, traffic backs up for miles on the highway as cars inch their way around the tight corners. After an hour of sitting in bumper-to-bumper traffic, Romi and I bailed, leaving Travis and Larisa to drive the rest of the way to the summit while we opted for a faster and more scenic means of transport: walking. We quickly found a main trail taking off from one of the stretches of highway. Joining a few like-minded hikers, we cut almost straight uphill, then followed as it zigzagged in more manageable switchbacks. Romi rocks a nice little trail that’s faster than driving. For those who want to hike at least part of the way, the trail offers several nice viewpoints of the highway snaking down the valley below. We actually beat our own car to the top. Dismayed to see the packed parking lots near the main overlook, we copied everyone else and squeezed into a non-parking spot, straddling the white line despite parking as close to the mountain side as we could get. Solid lines of cars parked just like ours along both sides of the road effectively reduced the two-lane road to just one. Passing a handful of roadside stalls selling local wares, everything from local cheeses and pastries to cured meats, we climbed the last few meters over a small rise to see Bâlea Lake before us. From our vantage on the western shore of Bâlea Lake, Romania’s tallest mountain, Moldoveanu, was hidden out of sight beyond a row of smaller peaks. 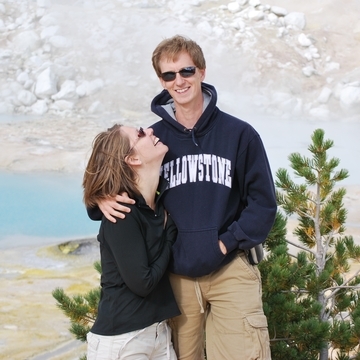 Though small and quite shallow, the lake is a glacial lake that’s icy cold even in the summer. A couple of chalets and a restaurant dot the shoreline, and every year in the winter, workers cut chunks of ice from the lake to build a glistening ice hotel. 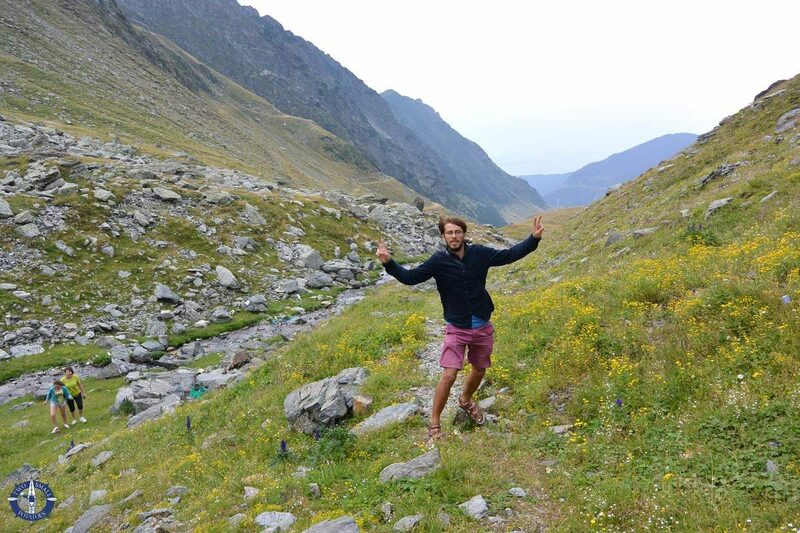 Behind us, the Transfagarasan unfolds in ripples down the valley, north toward Cartisoara. The sheer volume of visitors to the lake puts a strain on local resources to maintain services at the site. An overflowing trash container near the lake provided unsightly evidence of the highway’s recent boost in notoriety. 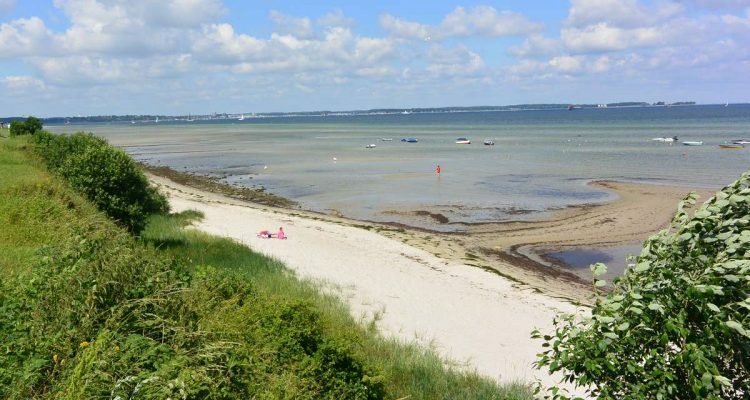 It remains to be seen how local officials will address the continued influx of tourists and the burden they place on local resources. While some folks are in support of charging drivers for access to the road, any kind of ticketing system would only add to the existing delays. It would also cost money to set up and maintain such a system. 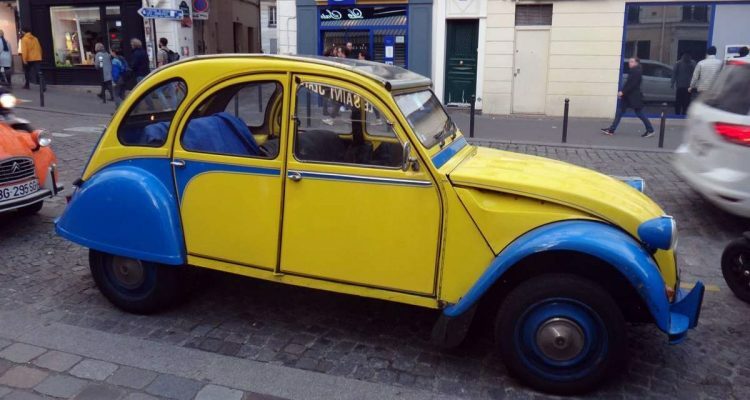 Perhaps in the future, cars on the road will be restricted to locals, requiring visitors to rely on a specially chartered shuttle service. It would certainly be a shame for visitors not to be able to drive the highway since that’s the reason most people visit, but it’s clear that something needs to change to protect the valley from overuse. An overflowing trash container was hardly enough to put us off though. 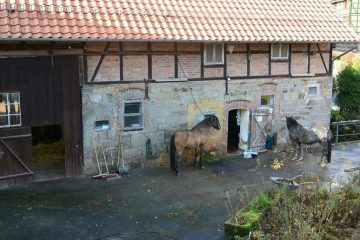 After investigating the superb views from our vantage, the four of us decided it was a great place to set up shop for the night. With few amenities available, we were prepared for tent camping anyway; all we needed was a few meters of space for our two tents. 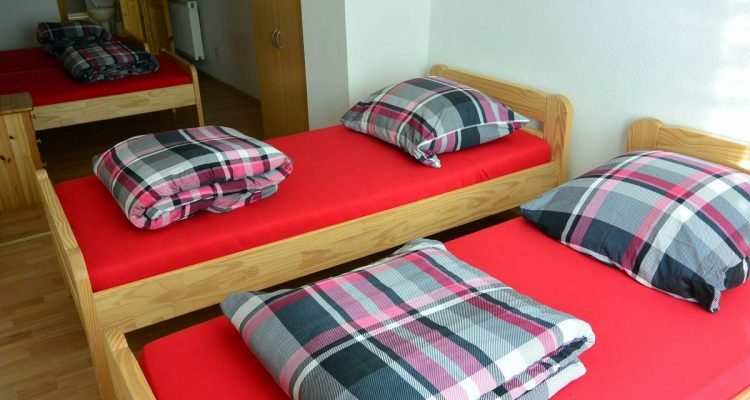 Unsure if camping was allowed, Larisa and Romi tracked down an employee in one of the chalets. 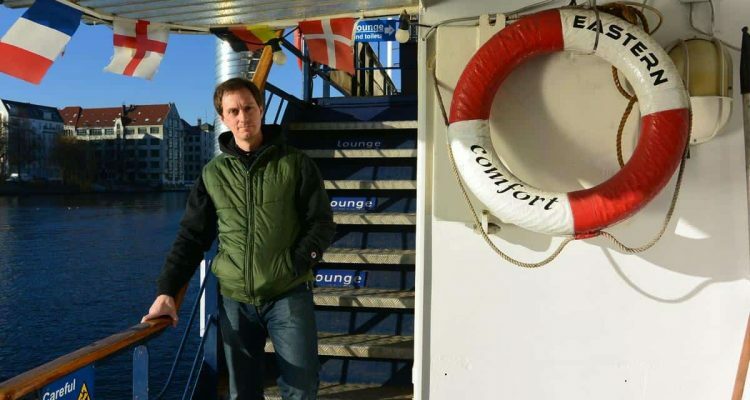 He assured us that for a couple of bucks, we were welcome to stake a spot outside. We traipsed along the slopes scouting for a good camping spot while the sun set over the Carpathians. What little heat the day had offered vanished with the sun. 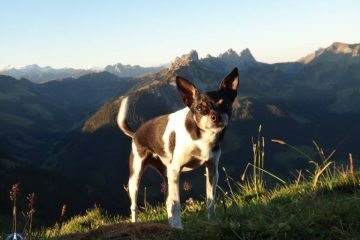 Larisa snaps a photo of Romi while we scope out the hillsides for a suitable space large and flat enough for our tents. The four of us piled on more clothes as the wind kicked up. Even though it was still August, the icy chill held the sharp bite of winter. Strapped in her snuggly fleece jacket, Touille shivered with each gust. 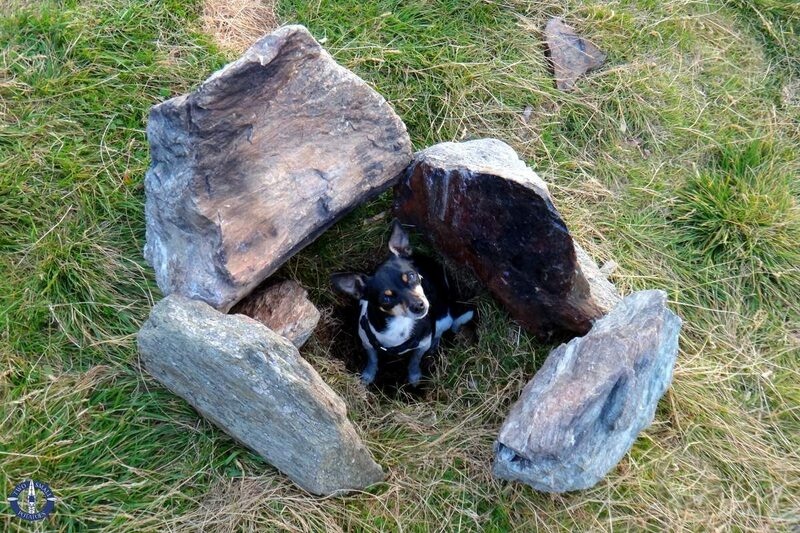 She finally sought out shelter in the only protected spot on the exposed hillside: the fire-pit. We left her curled up in the little hole she dug until we’d pitched our tent beneath a rocky cliff face, ousting her to build a fire. Touille takes shelter from the wind in our fire pit, digging a hole in the grass to bed down. Scavenging for a few small chunks of wood, Romi and Larisa patiently huddled over a small pile of tinder, fruitlessly trying to protect it against the wind. When the wood did finally take off, it burned poorly, emanating little heat outside the immediate ring of tall rocks. After bolting down some dinner, we hunkered around the fire for as long as we could stand the cold before sliding into the welcome warmth of our toasty sleeping bags. The evening light in the Carpathians fades from pale pink to blue before sinking into the deep purple of twilight. Sleep, however, was not ours to be had that night. Gaining ferocity in the deepest hours of the night, the wind relentlessly battered our trusty REI tent, bending the poles nearly in half and viciously snapping the mesh/canvas ceiling within inches of our faces with each gust. I’m not sure when the rain started, but with single-minded determination, it managed to find its way through a small hole in our fly that I keep forgetting to duct tape. Throughout the night, I wondered if we’d wake to find our tent awash in a flash flood over the edge of the slope or buried in a landslide. So dark was the sky the next morning that I wasn’t even sure it was daylight. It was still rainy and windy, though nothing like the tempest that bore down on us during the night. 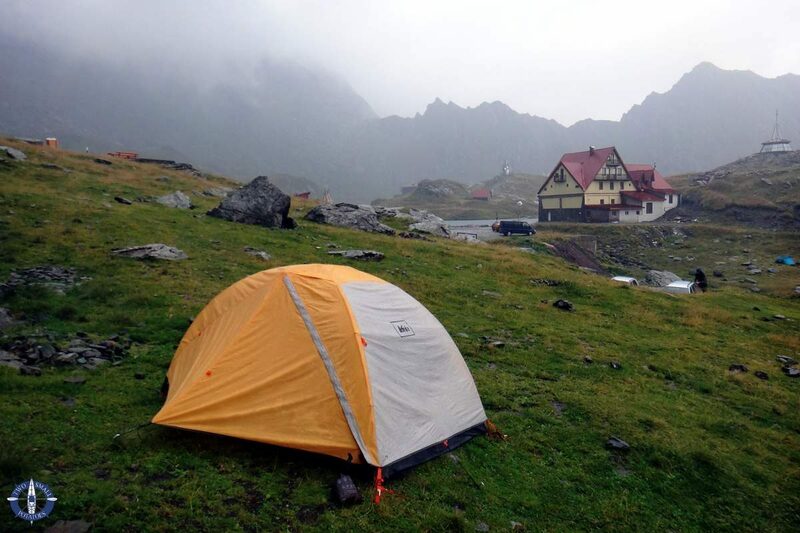 Thunder clouds still loom over the Carpathians when we wake in the morning in our tent at Balea Lake. Poking my head reluctantly out of our tent, I was immediately alarmed to see an empty space where Larisa and Romi’s tent should have been. It was there the night before! Hastily breaking down our camp site, we tried to keep our gear as dry as possible, finally giving up and throwing our soggy tent and bags in the back of the VW. Wondering where our friends could possibly have gone while we had the car keys, we headed for the nearest building, hoping it was open. Sure enough, unable to sleep in the storm, they’d packed up long before us and were drying out over a cup of coffee. Ordering us a round as well, we happily nursed the hot brew before heading back out into the soggy day to our car. 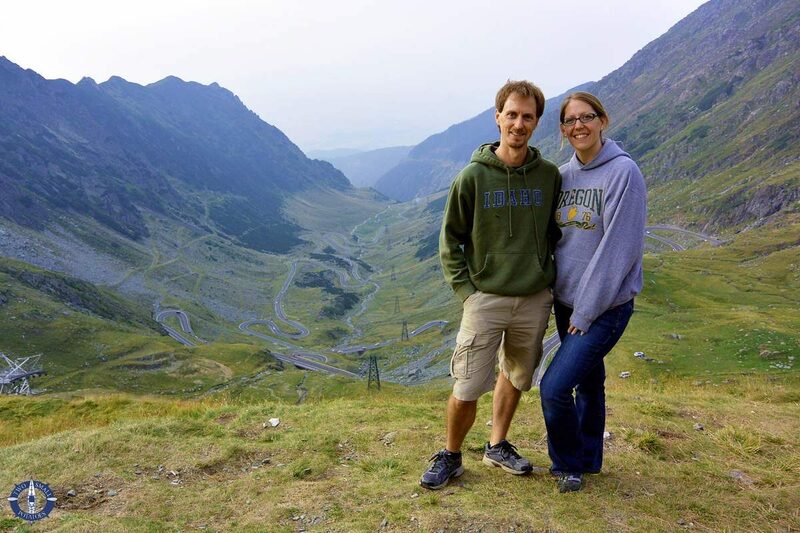 Back on the Transfagarasan, our spectacular mountain views gradually returned. Clouds and rain had reduced our visibility to nil near the summit, but as we dropped elevation, the hillsides came into focus, green and vibrant in the rain. The ground was alive with running water, each small rivulet desperately rushing to join its neighbor in a desperate race to merge with their big brother, the Bâlea Cascadă, further down in the valley. 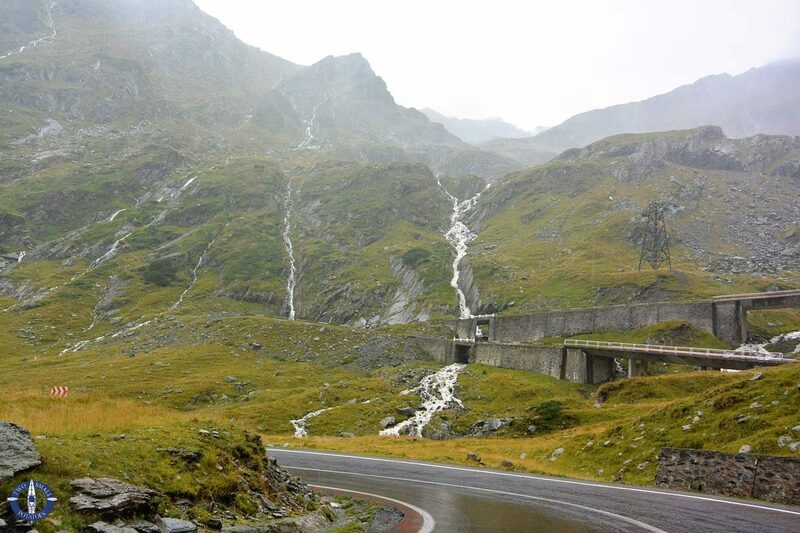 Less than 24 hours after our drive up the Transfagarasan, the hillsides are transformed by rain into a series of waterfalls. Never one to skip breakfast and completely famished, I was overjoyed when Larisa recommended we stop at a cluster of roadside food booths further down the mountain. Again grateful for her ability to communicate fluently in Romanian, Trav and I waited in the car while she dashed to a particular stall, returning a few minutes later with a variety of Kürtőskalács, traditional “spit cakes” that are common in Hungary and Romania. Made by wrapping dough around a cylinder and baking it on a spit, the pastry is nothing like an American cake. Coated in things like cinnamon and sugar or nuts, the caramelized sugary surface is a perfect crunchy complement to the soft bread inside. So delicious! 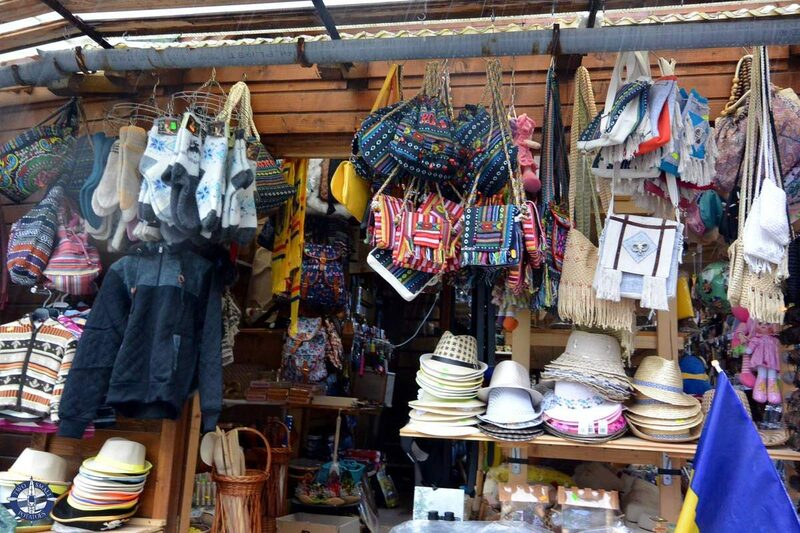 Drivers can stop at road-side stands along the Transfagarasan to buy traditional Romanian snacks, drinks, and local apparel. The stormy weather essentially evacuated the valley for us, a vast change from our drive up. But even with less traffic, our driving experience of the Transfagarasan was unlike Top Gear‘s video in just about every way. Where was the gloriously deserted road, our fancy red convertible, and the implausibly blue skies advertised in Jeremy Clarkson’s video?! He can keep his Ferrari. 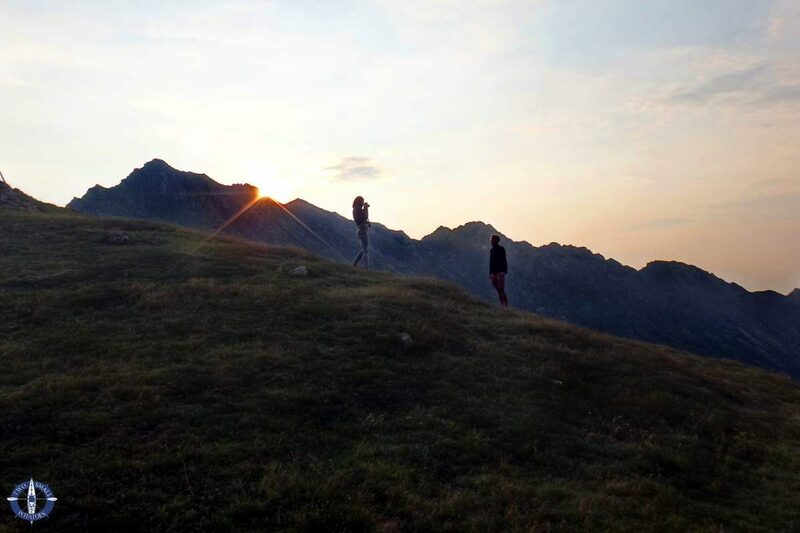 The half hike, half bumper-to-bumper drive up with Larisa and Romi and our crazy night camping in a Carpathian thunderstorm were a pretty fantastic way to experience Romania’s raddest road. 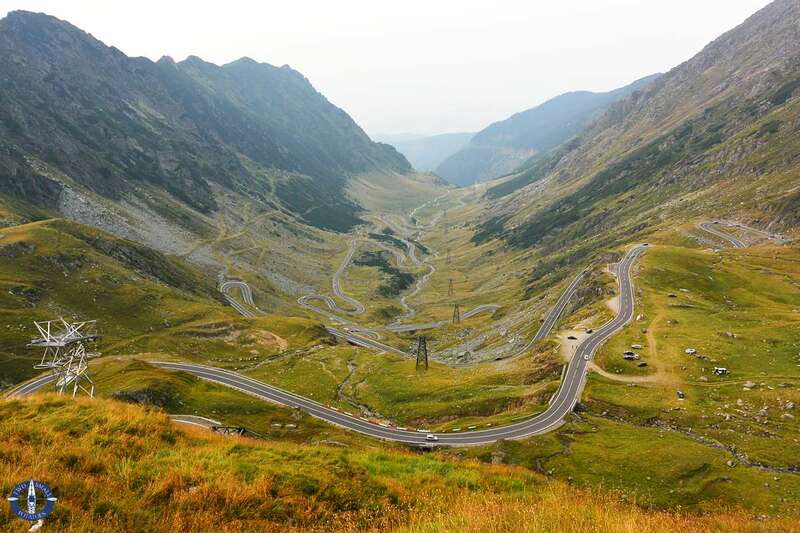 Driving the Transfagarasan highway is free. Winter lingers for up to 7 months in the upper reaches of the mountain pass, leaving the highway accessible for just a few short months in the summer. Due to rock slides, snow, and frequent closures, we recommend checking for current road information before you visit. Bring a warm jacket and rain gear, even if you don’t think you’ll need it. There is no official campground at Balea Lake, which is at the top of the pass. 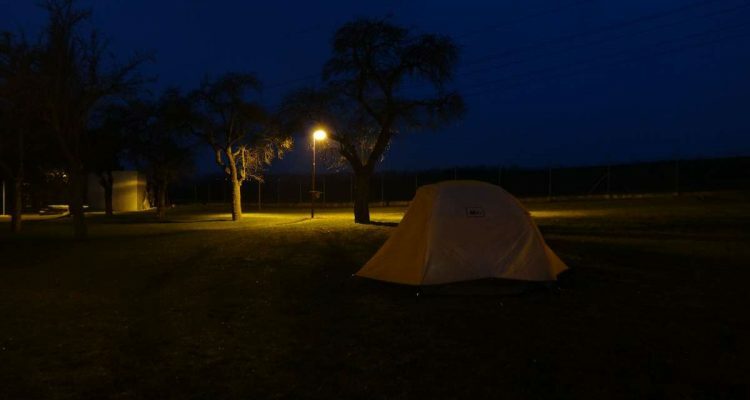 If you’re not into rough camping with no amenities, the highway offers up a few guesthouses scattered along the route. Lots of people = lots of trash. 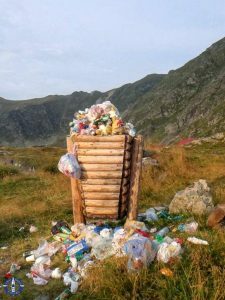 Officials are struggling to maintain garbage service at the summit near Lake Balea. When the wind kicks up, it blows everything from empty soda bottles and plastic bags across the fields and down the valley. Help them out and do your part – if you pack it in, pack it out. 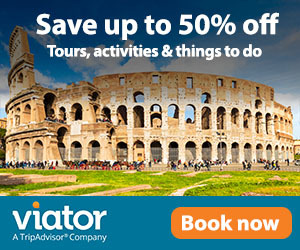 Help keep Romania beautiful, people! 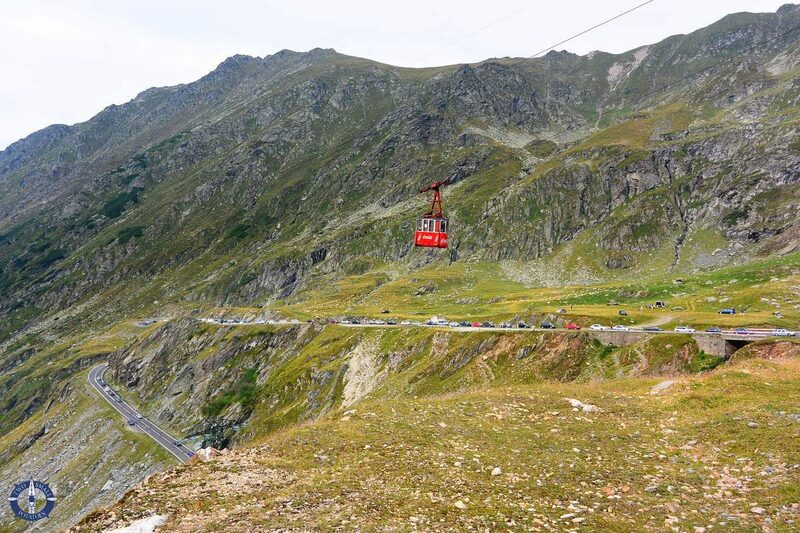 The Transfagarasan runs for 150 km (93 miles) from the town of Bascov in the south. It ends where it intersects with the DN1 highway north of Cartisoara.